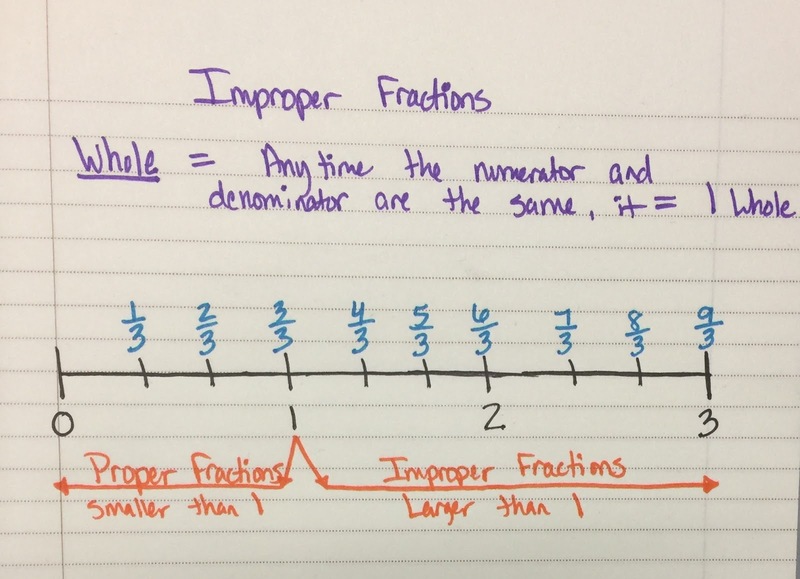 This week we took a brief look at fractions. 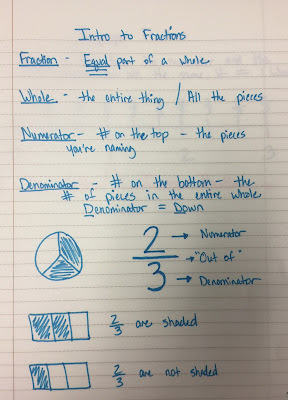 We started by reviewing what we already know about fractions such as definitions and pictures. 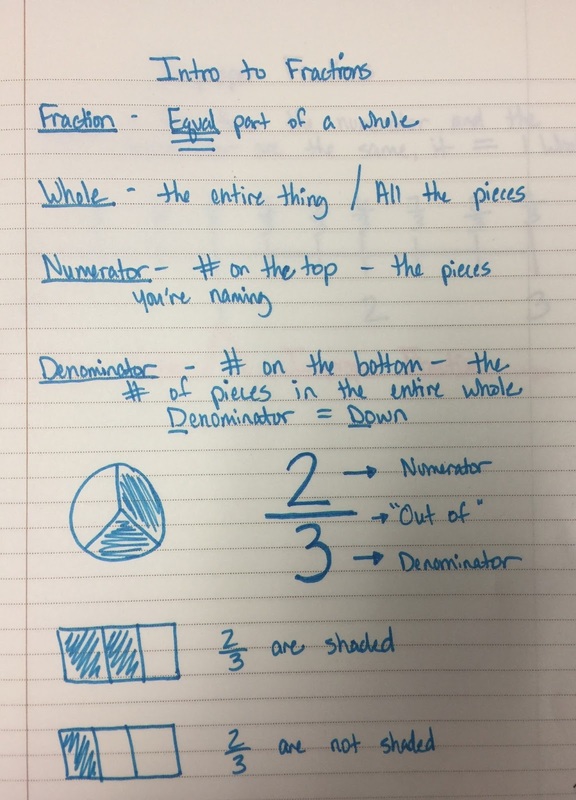 After we reviewed, we looked at pieces of fractions and discussed what happens when the numerator and denominator are the same number. We looked at pictures of pizzas cut in half. Once I have two halves, I have one whole. Finally, we explored what happens when we have more than one whole. 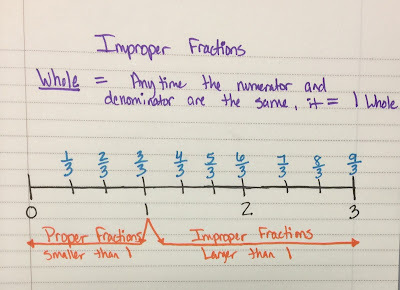 We discussed how we would name these improper fractions (we'll learn about mixed numbers a little later this year.) We named them on a number line, as well as in picture form.